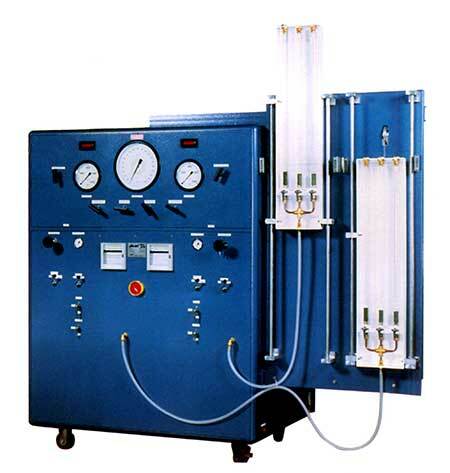 Haskel offers a wide range of small portable test systems, commonly called Testpacs, suitable for a variety of pressure testing applications. 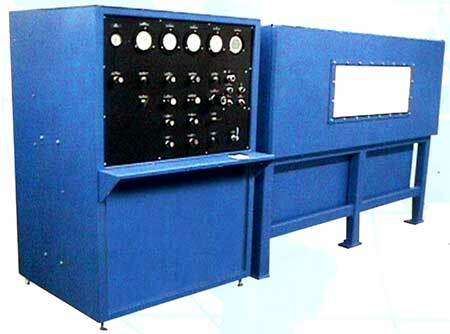 Haskel Testpacs are also commonly used for testing the integrity of hydraulic and pneumatic circuits in the aerospace, mobile and industrial markets. 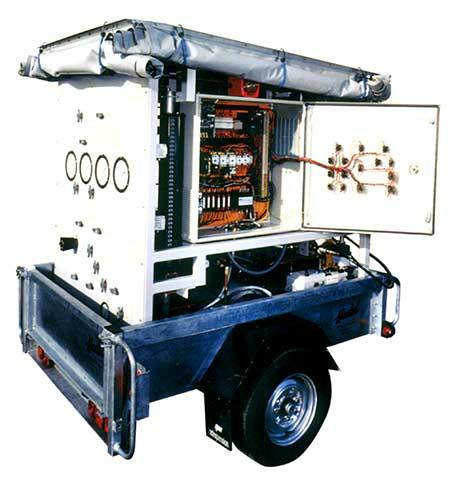 Haskel are specialists in the design, manufacture, test and commissioning of standard and customized systems in a wide range of industries and applications. 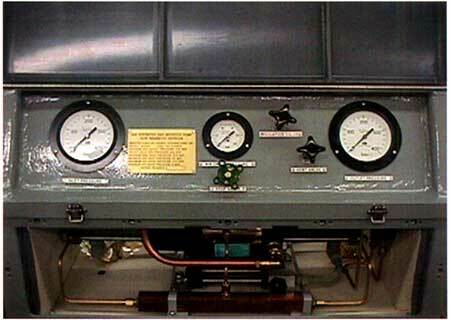 Our experience in high pressure gas pressurization and transfer has enabled us to develop our reputation for high pressure gas control technology. 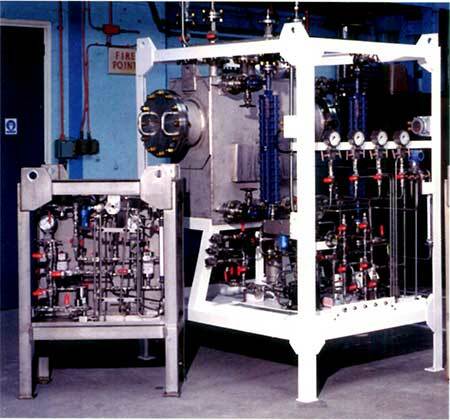 Haskel gas booster systems have also long been employed in a variety of indus-tries where the need for transfer and pressurization of "liquefied" gas exists. 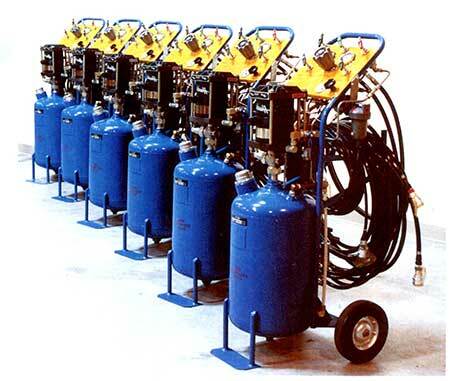 These specialty gases include carbon dioxide, sulfur hexifluoride, freon, halon, propane, ISO-butane and ISO-pentane, to name a few. 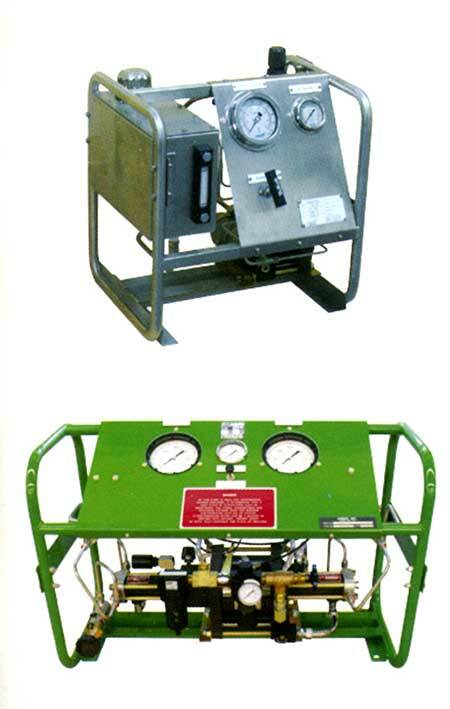 Benefits offered by Haskel for these applications include the ability to pump these gases in both their liquid and gaseous states. 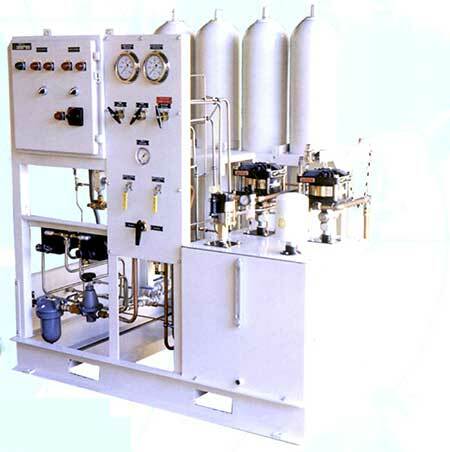 Supplying the majority of the world's oil exploration and production companies, Haskel specializes in air/gas driven systems used for the injection, dosing and metering of chemicals into oil and gas wells, pipelines, etc. 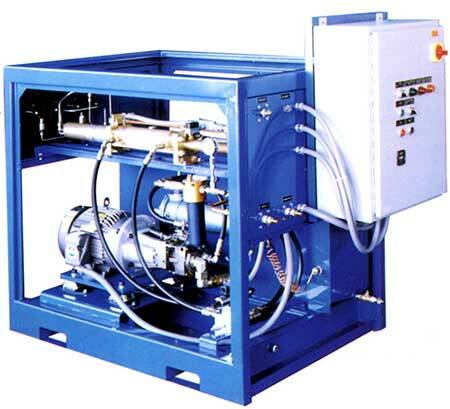 Haskel is a leading supplier of high pressure hydraulic systems to the fluid power industry. 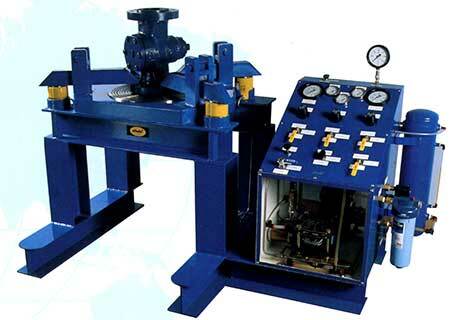 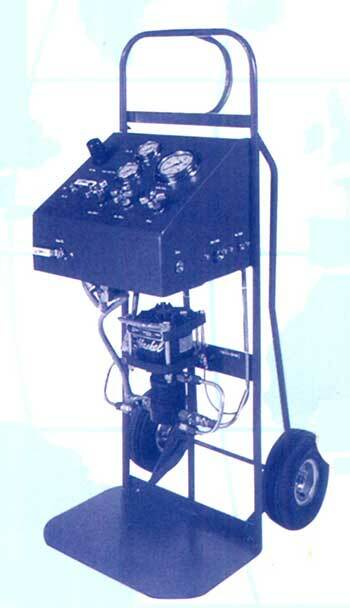 Whether it be systems for powering hydraulic jacks in aircraft ground support, clamping in the machine tool industry, hydraulic presses in the automotive and tire manu-facturing industry, or valve actuation in the energy market, Haskel systems can provide that total solution for these applications. 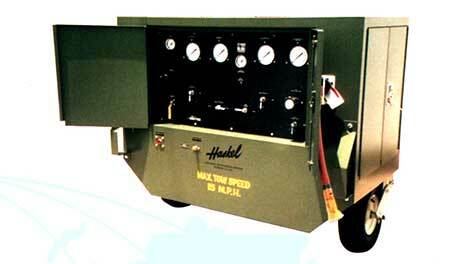 Haskel is an international organization offering a worldwide service through the Haskel group of companies and factory trained distributors. 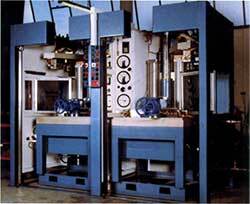 The Haskel group is headquartered in Burbank, California, with facilities throughout the world. 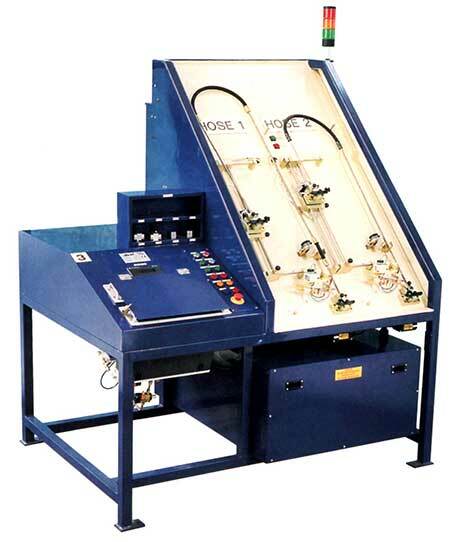 We have built an enviable reputation for quality based on high pressure fluid and gas handling equipment. 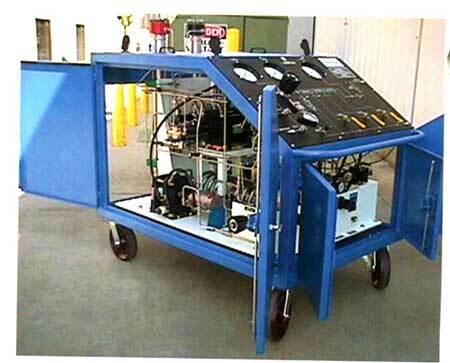 In adcition to offering a comarehensive range of air driven liquid pumps, air amplifiers, air- and hydraulic-driven gas boosters, valves, fittings and accessories, we custom cesign and build power pacs and test rigs. 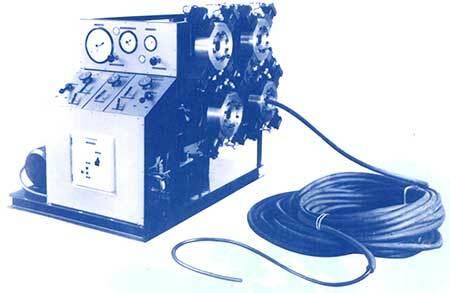 This brochure introduces our General Product range. 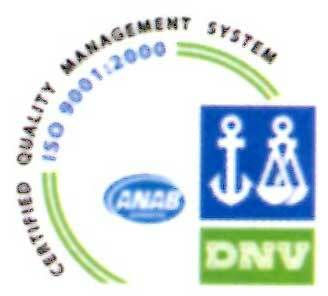 Technical details and advice on any of the products shown is available on request. 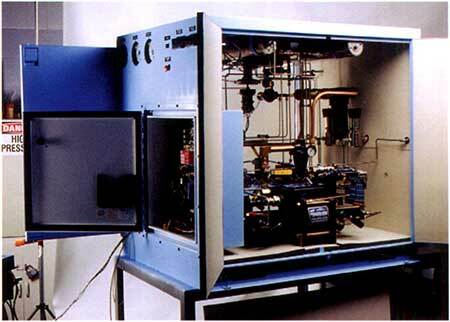 Our continued investment in technology ensures that Haskel will stay at the leading edge of high pressure technology. 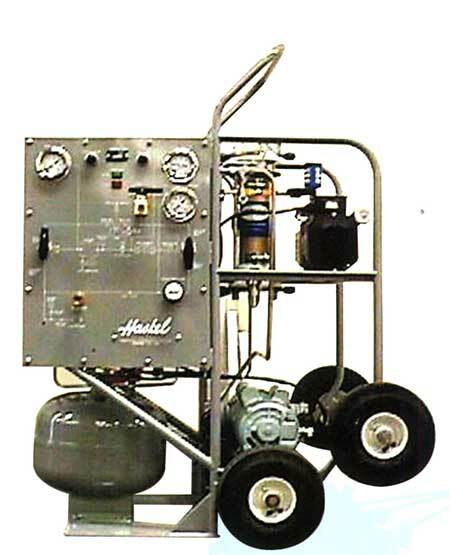 Why use Haskel air driven pumps? 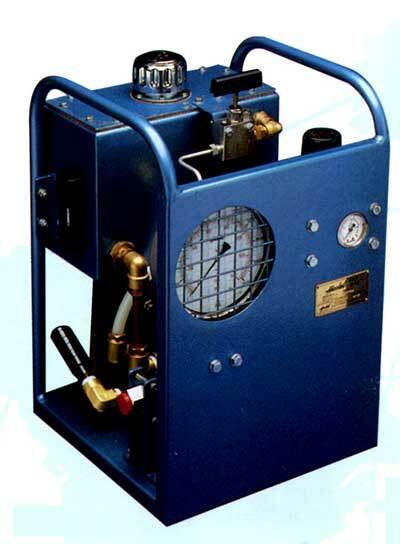 • Hydraulic operation such as clamping devices, punch and pin presses, value actuation, etc. 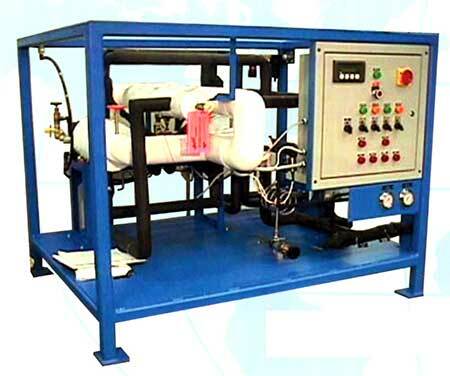 • Low pressure gas reclamation from storage btu! 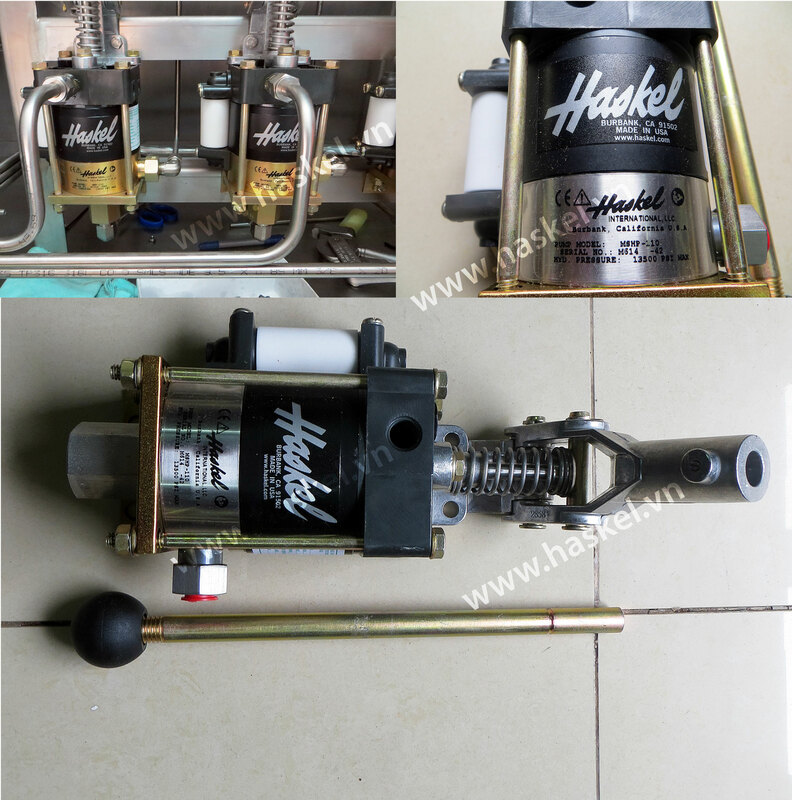 Haskel manufactures BuTech high pressure industrial valves, subsea valves, ball valves, needle valves, check valves, fittings, filters, gauges, adapters and tubing. 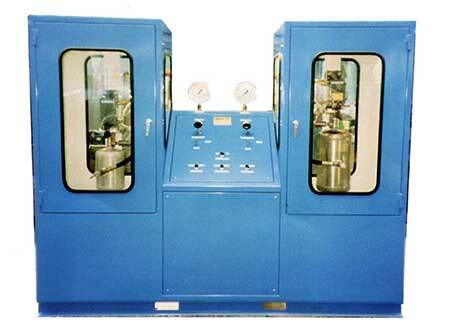 System components are available in every machinable alloy to handle pressures from vacuum to 150,000 psi (10,000 bar) and temperatures from -423°F (-253°C) to 1200°F (649°C). 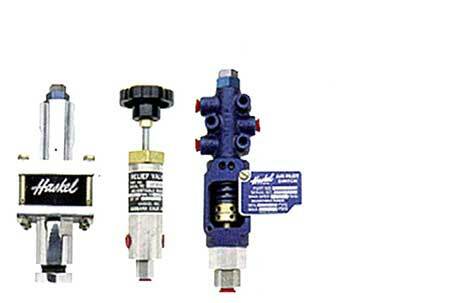 BuTech subsea ball and needle valves are custom designed for instrumentation, process control, chemical injection and remote operated vehicle (ROV) use in the harshest environments, providing rugged protection, safety and reliability. 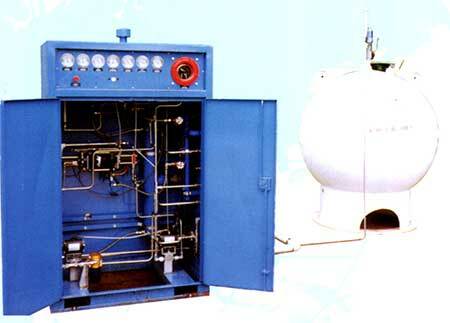 Subsea ball and needle valves are used in template control panels, subsea well heads and Christmas trees. 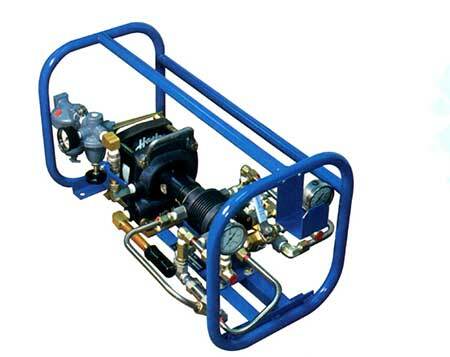 BuTech standard and subsea valves are manufactured to mcet the requirements of NAGE MR0175/1S0 15156-2003, API6A and 17D, ASME, ANSI and various customer specifications. 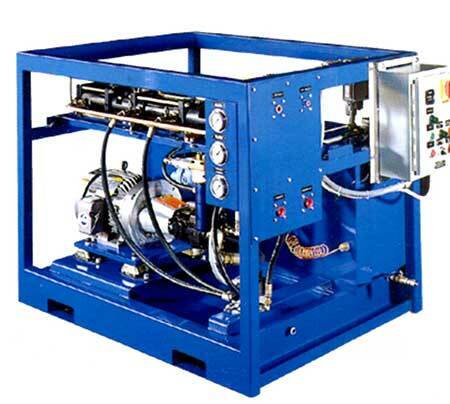 BuTech Pressure Systems takes a proactive stance on the design, development and production of new and existing products to meet the most severe applications in harsh environments. 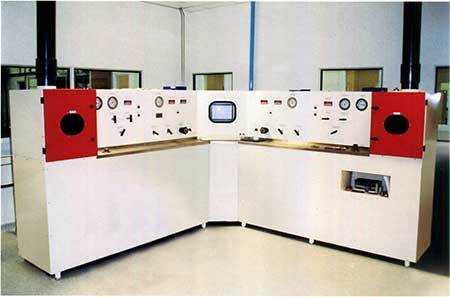 Haskel can custom-build portable-to-large PLC control systems for a wide range of industries and applications. 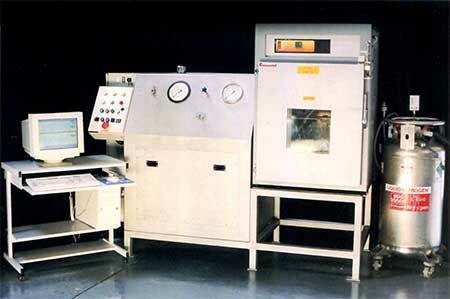 Manufacturing divisions have clean room facilities for oxygen and similar requirements to class 1000-level clean.